Quick-setting, self-curing denture repair resin based on diacrylate for intraoral and extraoral use. 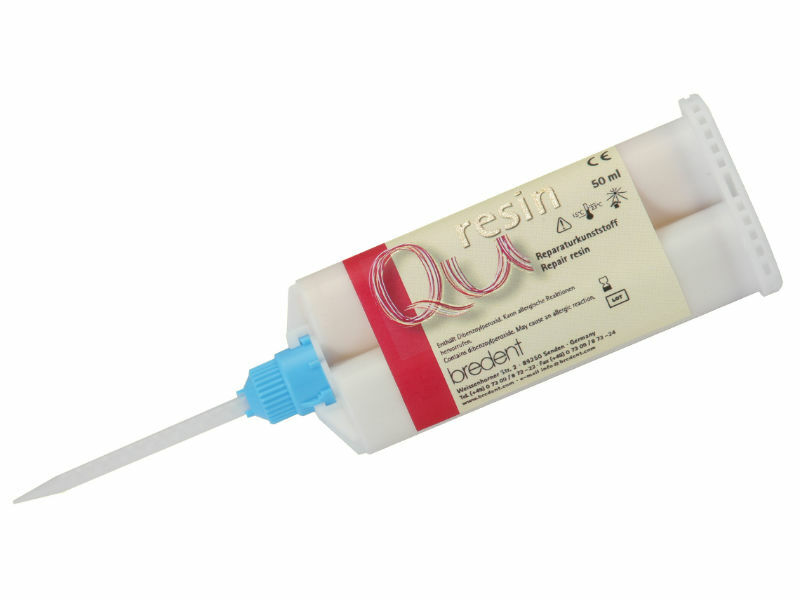 Qu resin is the perfect material when it comes to speed and can be used for standard processing in the dental laboratory and for direct use in the dental practice. Tension free oral fixation is made possible using Qu-resin. 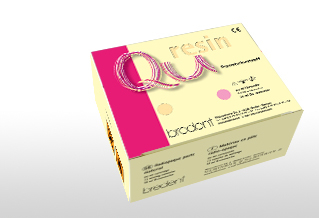 Qu resin is available in pink and dentine. Compared to the conventional method using cold-curing resin and polymerisation in the pressure pot, Qu resin excels by reducing the processing time considerably. No pressure pot is required for Qu resin since the self curing resin sets quickly. 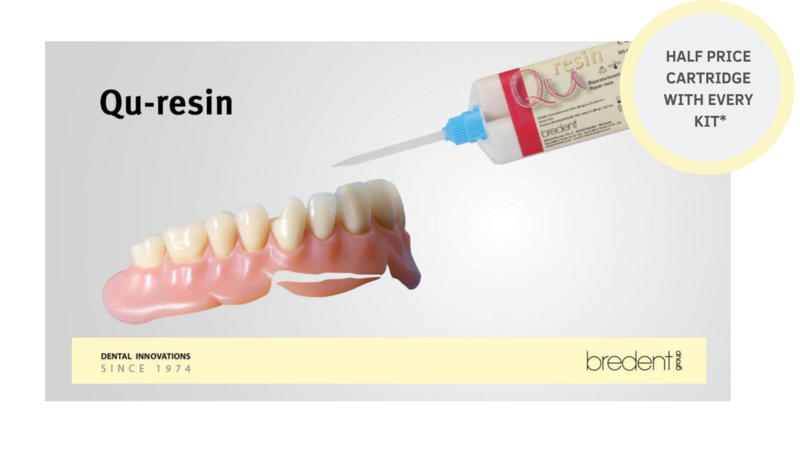 Qu-resin is suitable for intra-oral use. The dentist can perform chairside repair of the denture and reduce the amount of time considerably both for himself and the patient. Correction can be completed in a single appointment.